The "problem" I had with this book was that it wasn't really written by Tolkien but was compiled from the notes he left behind, and (if you've read the edited notes compiled by his son Christopher) you already know the story (in its several forms). I'm almost certain Tolkien would not have wanted this published in this form as he was a stickler for rewriting and refining his prose. In the end, I guess my major complaint is that this is Tolkien's "form" but not his "heart." 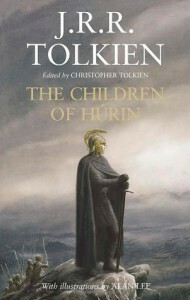 I've read most of Christopher Tolkien's History of Middle Earth (all except for the volumes focusing on the writing of The Lord of the Rings) plus the Unfinished Tales and The Silmarillion, and so I know the iterations of the tale of the Children of Hurin, the larger tragedy of the fruitless War of the Jewels and the doomed Siege of Angband. When I read through those notes, I was moved by the potential narrative power in the stories, which could have been invoked by a good poet or an author who could bring them into a form accessible to the modern reader. But I don't think these stories of Middle Earth will ever appeal to more than a relatively small niche of Tolkien fans (of whom I include myself) because the modern reader, modern society has abandoned myth and epic except as something to study in a Literature class. 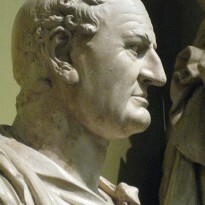 Consider Tolkien's most popular works - The Hobbit, The Lord of the Rings, Smith of Wooten Major, , among others - all are prose works whose chief characters are commen men, utterly human, with whom readers can identify (the Thersites of the world, if one wants to get Greek about things). Contrast that with the characters of Tolkien's legendarium - Beren and Turin, fated heroes, archetypes; Luthien Tinuviel, half-divine child; Finrod Felagund; Galadriel; Elrond; Gandalf; etc. All figures remote and powerful and beyond human experience (only the first two are humans at all). It brings to mind Steven Erikson's Malazan Book of the Fallen (Tolkien's latest "step-child"), which attempts to create a legendarium as complex as Middle Earth: The most interesting characters and stories are the ones that focus on the humans (those still human for now, anyway) such as Trull Sengar, Whiskeyjack (before his Ascent), or the men and women on the Chain of Dogs. The point of this discursion is that Tolkien's hope of creating a new (Anglo-Saxon) mythology to set against the Norse and Gallic traditions is probably dead in the water, barring a sea change in reading tastes. If there's any future to further stories set in Middle Earth, they'll have to be told in the idiom of modern fantasy - at the very least from the point of view of the "little people," as Tolkien realized when he wrote The Lord of the Rings. It's why The Children of Hurin will never be more than a literary curiousity. I'm not sure it's even possible or desirable to farm out Middle Earth like some Forgotten Realms or Thieves' World franchise as it's so intimately tied to Tolkien and his worldview but I don't think it would hurt for someone to try.